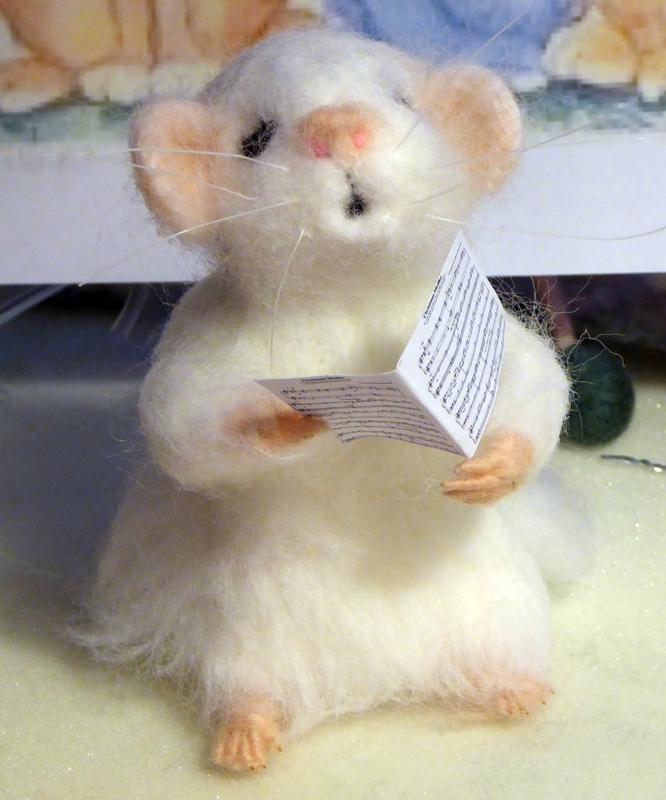 Needle felted collectables using fine Merino wool and various fleeces. Rebecca and Frederick enjoy singing together. Two more needle felted beauties. May I introduce Rebecca and Frederick. No relation but I think Frederick has a slight crush on his singing partner. There is so much emotion put into her songs. 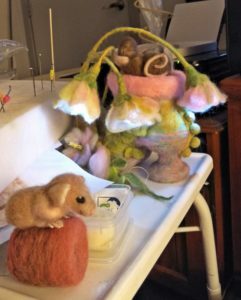 I have a sneaky feeling that with her love of music that Rosena could be her mother and perhaps Richard (see previous posts) who just loves to bonk could be her father. Regardless, Rebecca does have a lovely voice and is delighted to sing with Frederick even if she doesn’t pay him too much attention. Rebecca. Just look at that joyous face. Rebecca’s theatre dress, made of a fine Merino wool, is long and drapes at the back. She feels quite regal as she walks onto the stage. 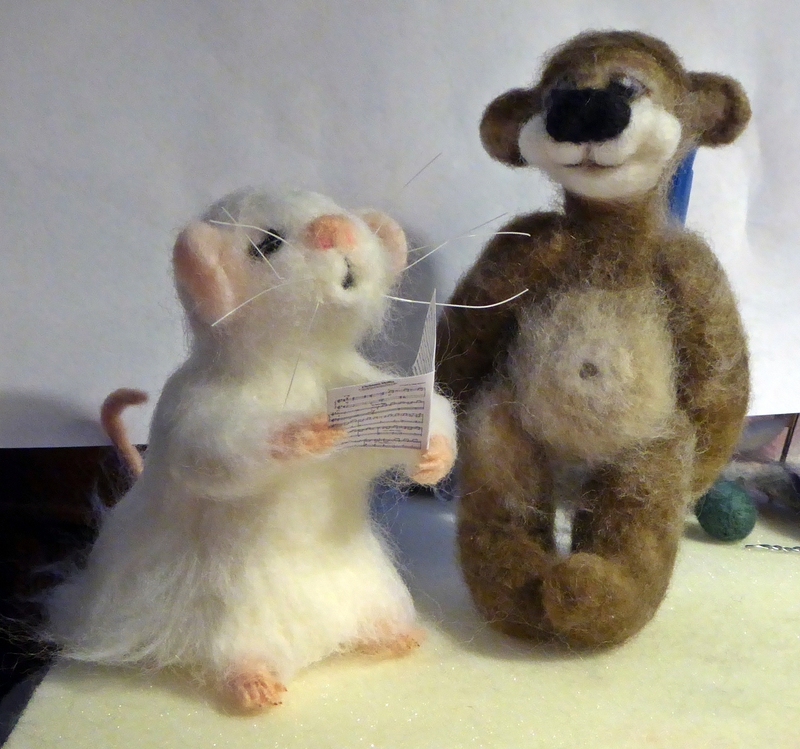 Both of these lovely collectables, with previously created fibre art, will be at the Visual Effects Gallery – Wagin sometime soon. 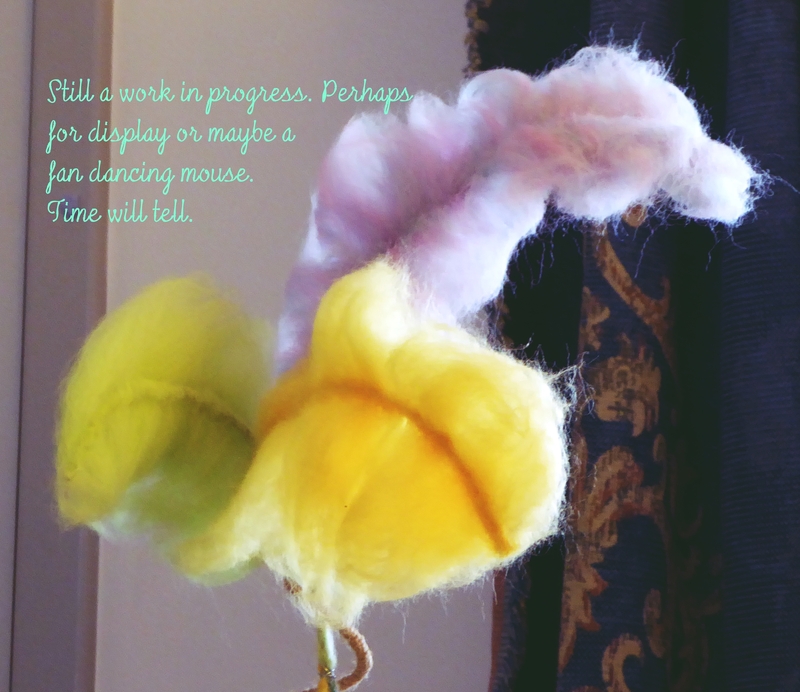 As I am sure most wool/fiber artists have Work (it’s really play) in Progress, I have some new thoughts for the mouse on the flower pot. She (I think it is a she) will have a friend or two for company but they are only half done and will have to pass muster, just like the not too worthy caterpillar, who was relegated to Rosie’s toy box. Aaand the Marie Antoinette boot is still partly in my imagination but I am very pleased with it so far. Just look at those lights!!!! Definitely boudoir material. How pretty would that be? Aaaaaand I still have some lovely colourful Merino feathers that I haven’t allocated to anything yet. Lovely feathers -perhaps I should make a few more.